It's important to be comfortable while sitting at your desk, a happy worker is a productive worker. The stylish office chair with armrests and adjustable height allows you to find the ideal position for you to sit in. With black padded leather effect, the seat will be comfy to sit in while the flexible back rest, also padded, will help you relax into the chair making sure you can concentrate on your work and not mess around trying to get comfortable. Both the seat and back rest are slightly curved to maximise the comfort. The chair can swivel either way, and on castors, makes it easily manoeuvrable while being durable and stable. 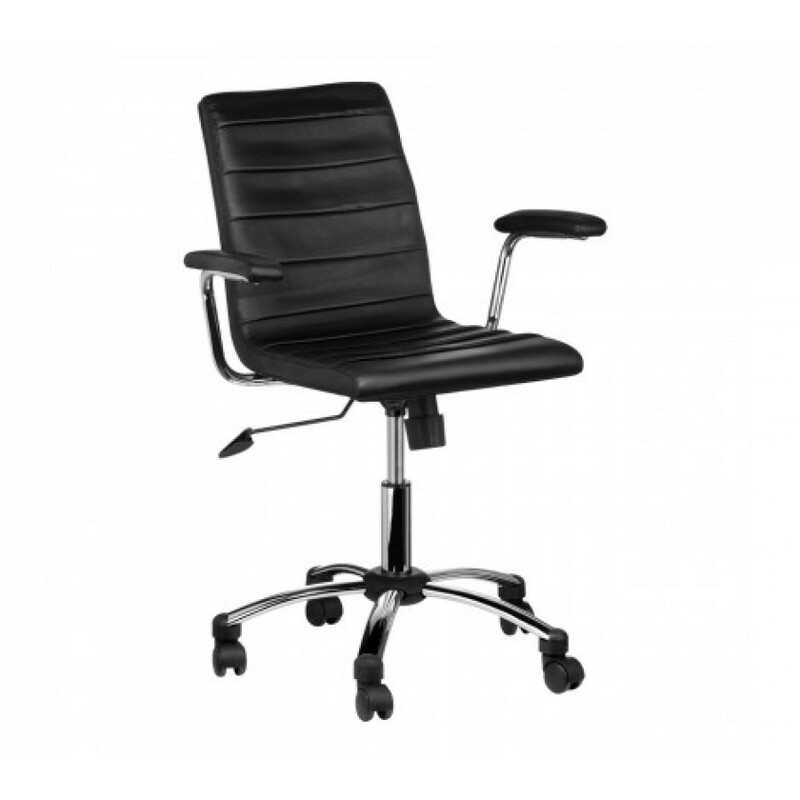 The chrome finished base gives the office chair a contemporary look making it suitable at home or at work.